New Zealanders annually spend in excess of two billion dollars and most forms of gambling are deeply entrenched in society. At the time of writing though, there are less than ten land-based casinos but there are plenty of other land based gaming venues such as bingo halls and race tracks. Kiwis can also place real cash wagers at multiple sports betting establishments, but online gambling is a different story altogether. Like most other nations, New Zealand was quite slow to respond to the new wave of online gambling activities in the mid-1990s and it was around this time when commercialised gambling in the country also really kicked off. The first major casino became available in 1994. The industry was not properly monitored or regulated for years and then finally, in 2003, the New Zealand government introduced The Gambling Act 2003. This brought an immediate halt to the number of land based gaming venues that could be built. The 2003 Gambling Act also banned most forms of online gambling, apart from certain sports betting games (provided by the Racing Board) and strictly regulated lotteries (provided by the Lotteries Commission). This was the first law of its kind imposed by the government and one of its main aims was to regulate remote interactive gambling in New Zealand. Interactive gambling can basically be described as using a communication device such as a telephone, radio, computer, mobile or tablet device or other similar device to place a real cash wager. The Act also made it illegal for operators to advertise and promote any real cash gambling services. However, the Act did NOT make it illegal for New Zealanders to gamble in an online casino which operates from an offshore location. This is exactly what hundreds of thousands now choose to do and therefore todays best New Zealand friendly online casinos are controlled by foreign operators and they are licensed in one of several major licensing jurisdictions around the world. There are just a handful of strictly regulated gambling services which are legally permitted to accept real cash wagers from New Zealanders and these are provided by TAB (the Totalizator Agency Board) and the New Zealand Lotteries Commission. Today’s best NZ online casinos are powered by some of the world’s best online casino software providers and they are generally licensed either in the UK (by the UK Gambling Commission), in Alderney (by the Alderney Gambling Control Commission), in Gibraltar (by the Government of Gibraltar), in Malta (by the Malta Gaming Authority, formerly Lotteries & Gaming Authority of Malta), in Antigua & Barbuda (by the Directorate of Offshore Gaming), in Kahnawake (by the Kahnawake Gaming Commission), or in one of several other major global jurisdictions. You will find that today’s best NZ online casinos support English and most other major languages, they provide local toll-free support, they accept a wide range of popular NZ online payment options and they all accept New Zealand dollars. 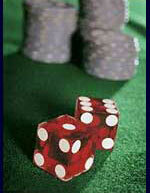 Our online casino review section contains a list of online casinos which all welcome players from New Zealand. Gambling in New Zealand - Provides great information about gambling in New Zealand along with a detailed section about "Pokies" the game of choice typically found and played in New Zealand by Kiwi players. Problem Gambling Foundation - New Zealand problem gambling foundation for Kiwi players who have a gambling problem and are looking for help.